The big news this week is that Taco Bell is launching its new breakfast menu nationwide in March. The Mexican fast food chain, already popular with night owls, is looking to capture the early birds as well. New items include the Waffle Taco (imagine a folded version of a Jack in the Box waffle sandwich), a breakfast burrito and an A.M. grilled taco. The big question is: Will there be any Star Wars-themed cupcakes? 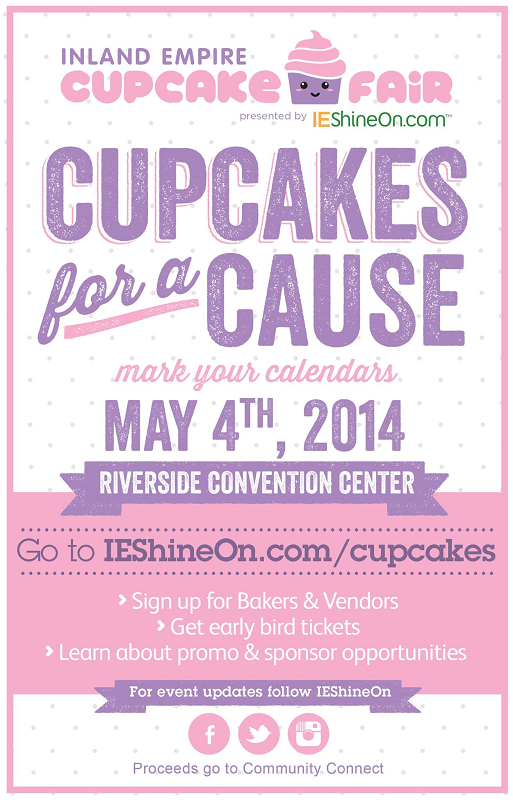 That’s because, Sunday, May 4, is the date for the second annual Inland Empire Cupcake Fair, at which yours truly will again be a judge. The event will take place from noon to 4 p.m. (with V.I.P. 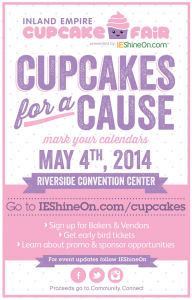 admission at 11 a.m.) at the newly-revamped Riverside Convention Center, 3637 Fifth St. The organizers, I.E. Shine On, note that they have learned much from last year’s event and things should run a lot more smoothly this year. The Brick Market and Deli recently opened at 105 E. Arrow Highway (at Garey Avenue) in Pomona. The Brick will be celebrating its grand opening Saturday (March 1) and will be holding a drawing for a Sony Blu-Ray player. 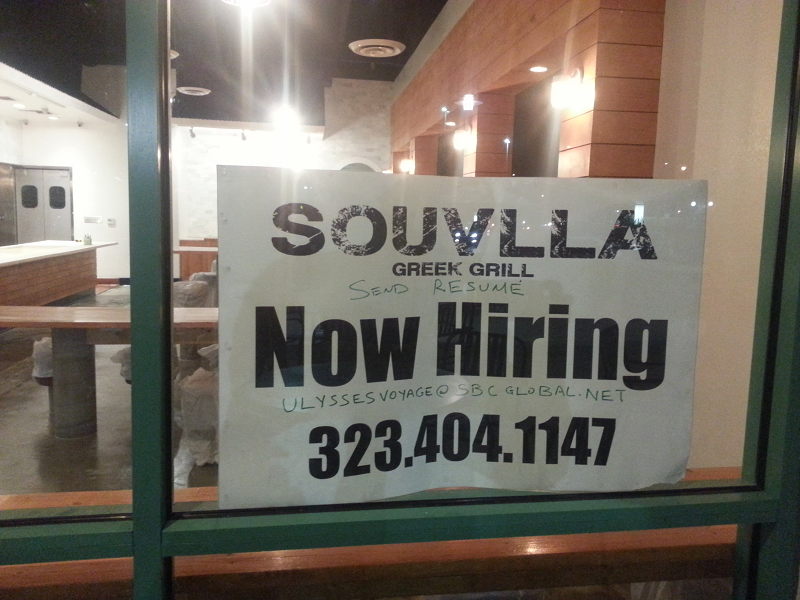 Not all the new eateries are moving into the new, eastern section of Upland’s Colonies Crossroads. Coming soon to the former Taco Factory spot in the older, northern section at 1945 N. Campus Ave., Suite C, is Souvlla Greek Grill. A new Juice It Up! has opened in La Quinta, and the location will be celebrating its grand opening from 10 a.m. to 2 p.m. on Saturday (February 22). The first 50 customers will receive a free small smoothie or raw juice blend, plus everyone will receive $1.05 off all smoothies and juices during the grand opening celebration. For those who were waiting, the Chipotle at Upland’s Crossroads Colonies has opened. Thursday’s (February 13) opening followed the recently–opened Panera Bread and Pick Up Stix. Next on the list: The Habit Burger Grill. You probably read about the San Bernardino Domino’s Pizza worker who was shot and killed last week. The location where she worked — 1644 E. Highland Ave., #101 — is hosting a fundraiser today (February 19). The franchise owner will donate 100% of sales to the Nelly Kantun Memorial Fund, and her co-workers are donating their time to make the fundraiser a reality. What do you get when you combine two of ABC’s most-beloved daytime talk shows? Chew and View! Oh, wait…this has nothing to do with those. This Chew and View is an event set for this Saturday (February 22), organized by the Redlands Conservancy and the Inland Empire Biking Alliance to highlight both the city’s “Emerald Necklace” and food from local orchards, gardens and farms, prepared by area restaurants and chefs. Hot on the heels of the Apple Valley Jersey Mike’s Subs opening, another new location is opening Wednesday (February 19) with a fundraiser. The new San Dimas Jersey Mike’s Subs distributed 3,000 coupons good for a free regular sub with a minimum $1 donation. Proceeds will benefit Gladstone, Ekstrand, Shull and Allen Avenue elementary schools. The fundraiser will last through Sunday (February 23). The new Jersey Mike’s, 466 N. Lone Hill Ave., will be open 10 a.m. to 9 p.m. daily. We’ve got a date for the next Redlands Bake Sale for No Kid Hungry…Saturday, April 19. That gives you plenty of time to figure out what you want to bake, if you want to help out, or buy, if you just want some delicious goodies.